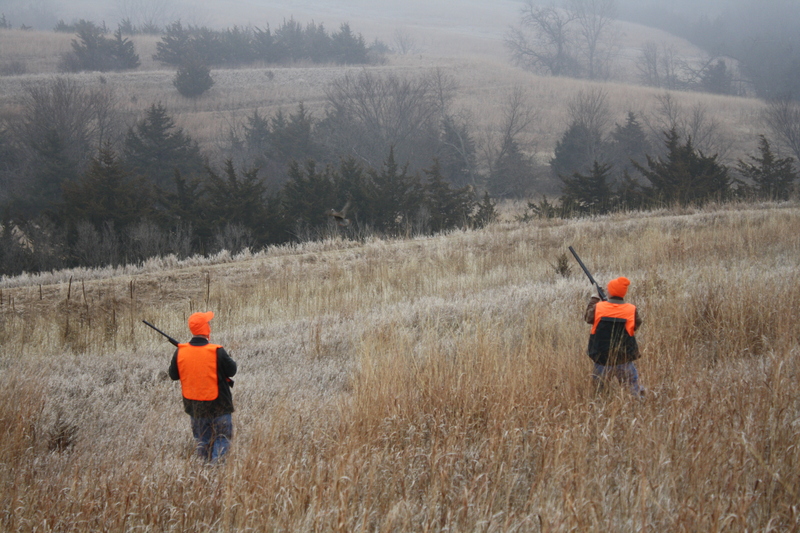 A cool, moist day for a hunt. 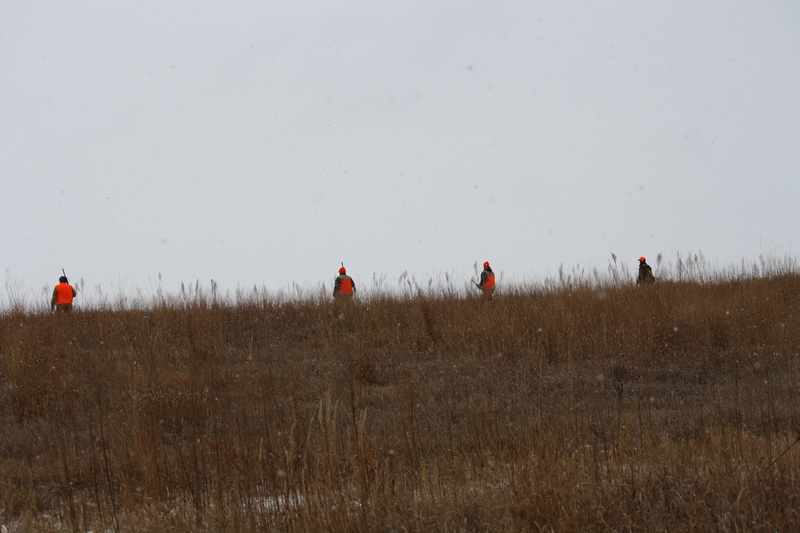 Everyone wondered if we were in for rain or snow as we set out Sunday afternoon in search of pheasants and chukars. 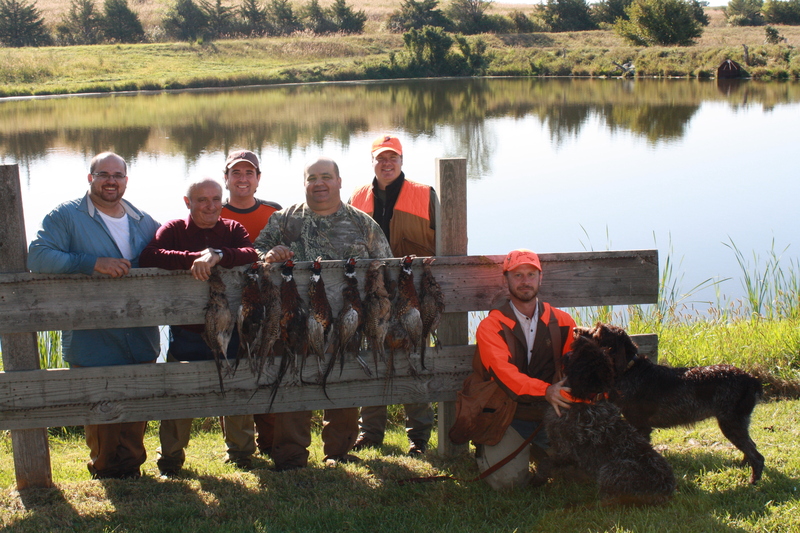 For the first time, the owner had completely turned over the reins for this hunt and it was just Charles, Sam and I on the property with the hunters. 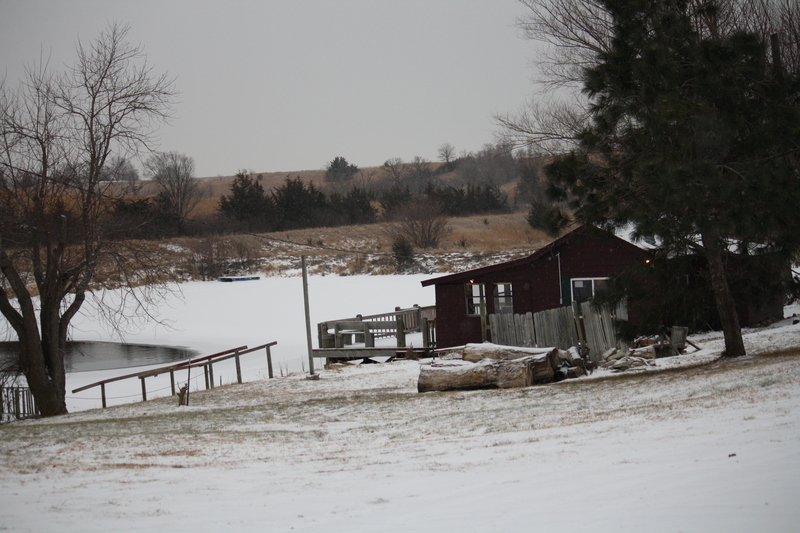 It was three generations of a family from a rural southeastern Nebraska town by the name of Geneva: a grandfather and great-uncle, the son and the sons-in-law, and most importantly, the grandson. 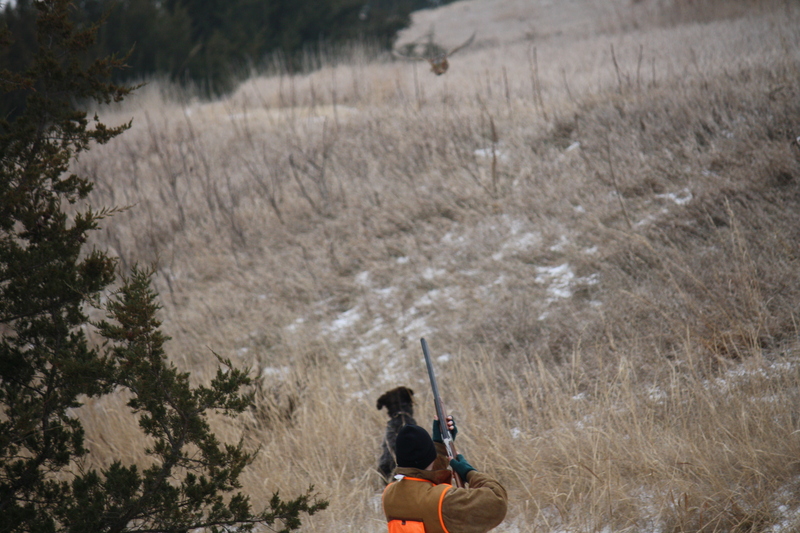 A chukar partridge flushes between two hunters. 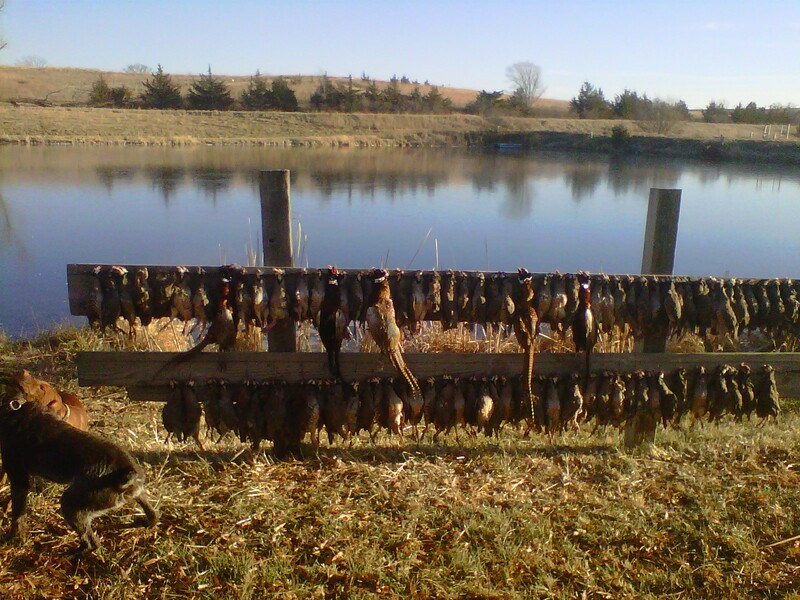 "Nothing like a good clean kill." 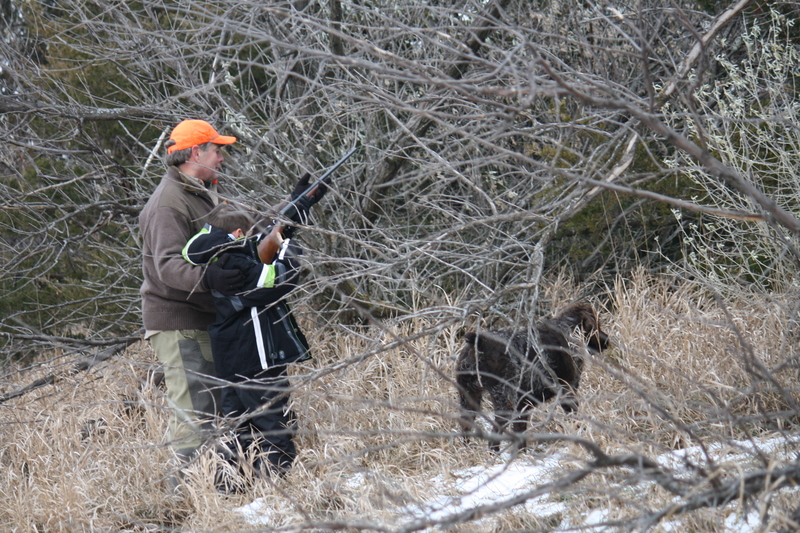 Charles and the youngest hunter. 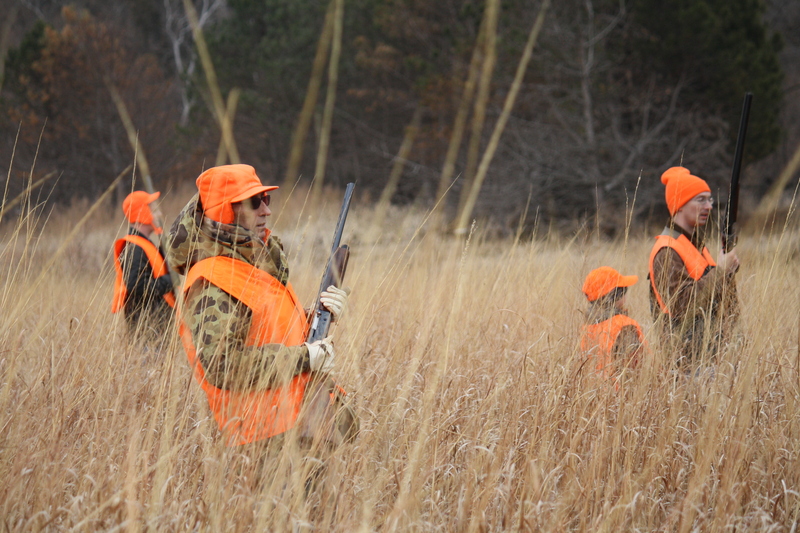 A hunter walks into Sam's point. 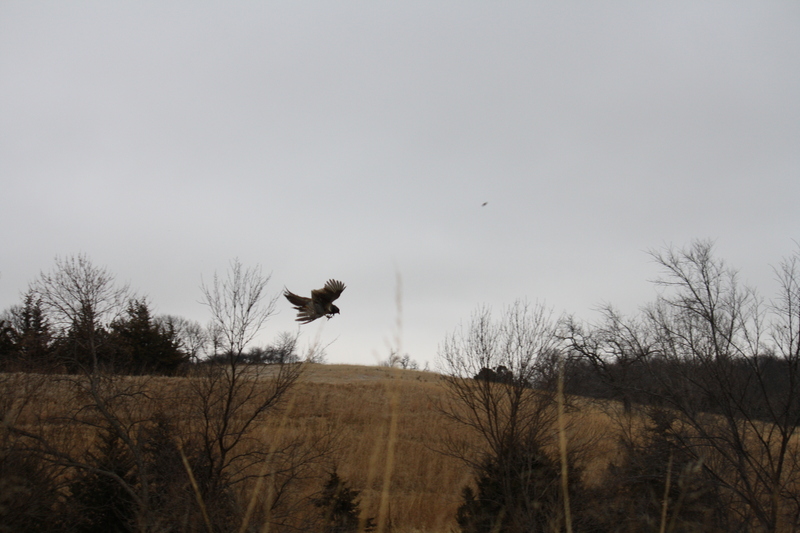 A rooster pheasant in flight. 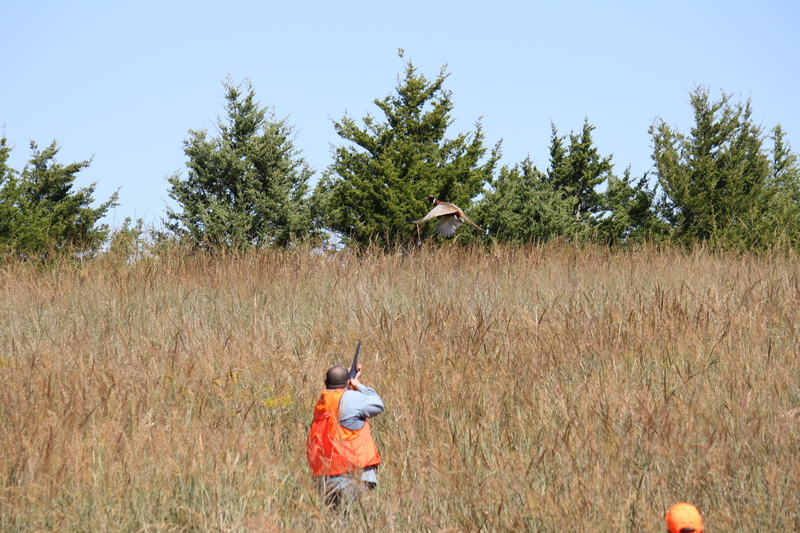 A rooster pheasant upon impact. 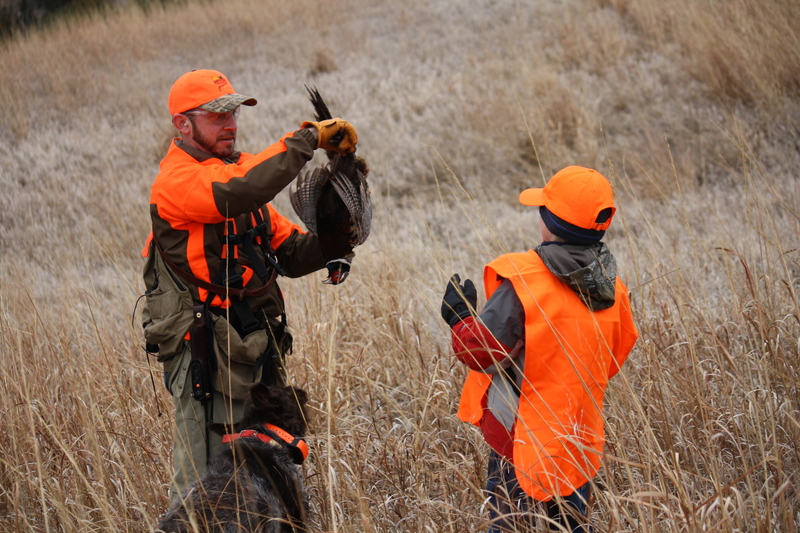 The youngest hunter requests to carry a pheasant. 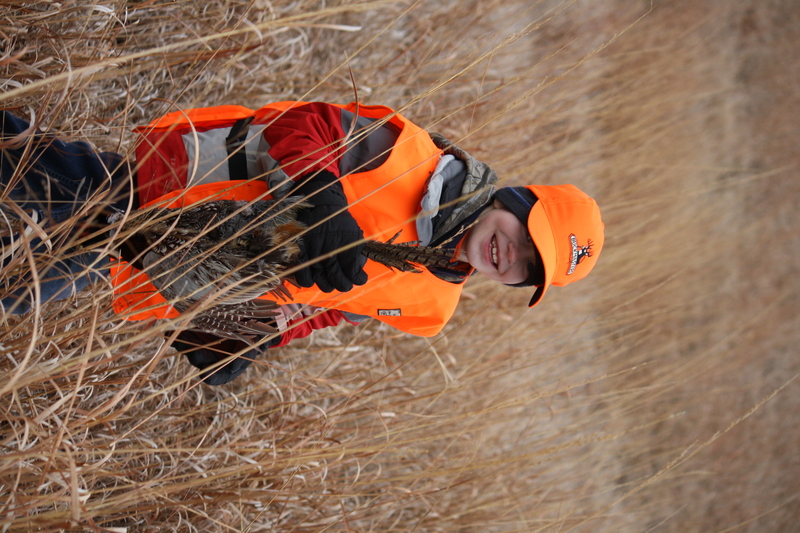 A happy young hunter, what it's all about! 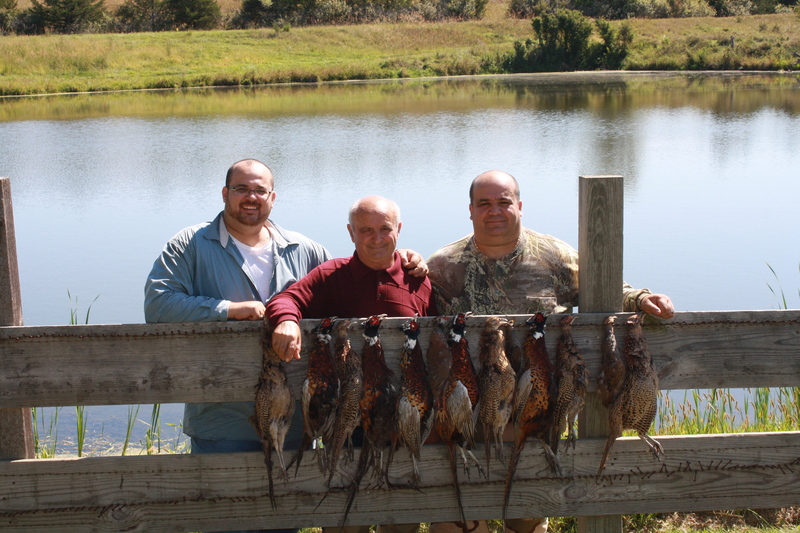 Three generations of hunters: grandfather, grandson, son. 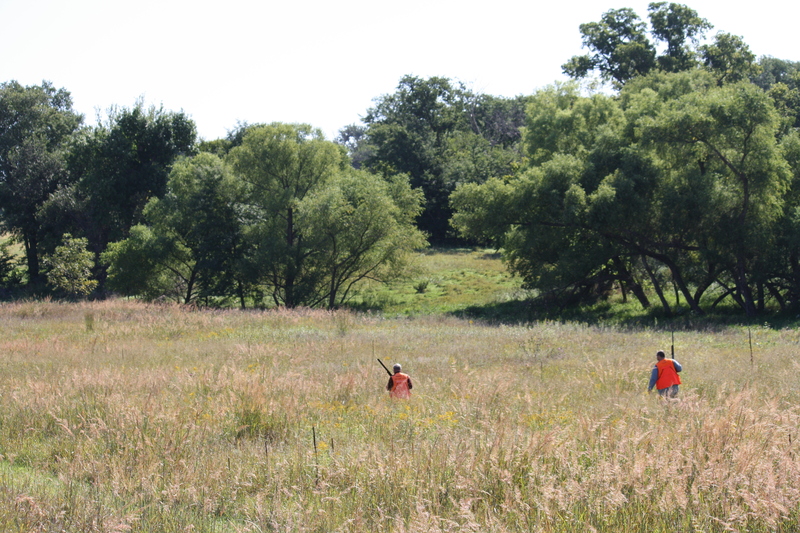 The hunters and their quarry along with Charles and Sam. 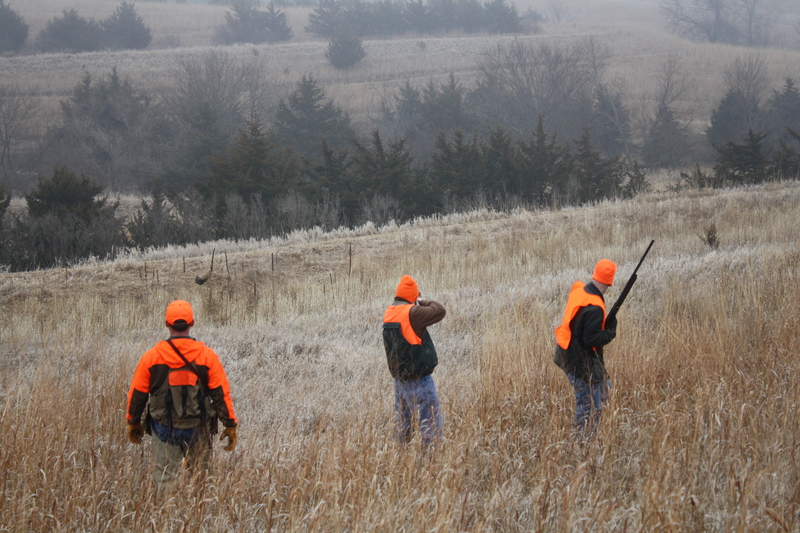 The snow began to fall on Sunday morning, but it wasn’t enough to deter the hunters of Pheasant Haven Hunting Acres in Elk City, Nebraska (www.pheasanthavenlodge.com). 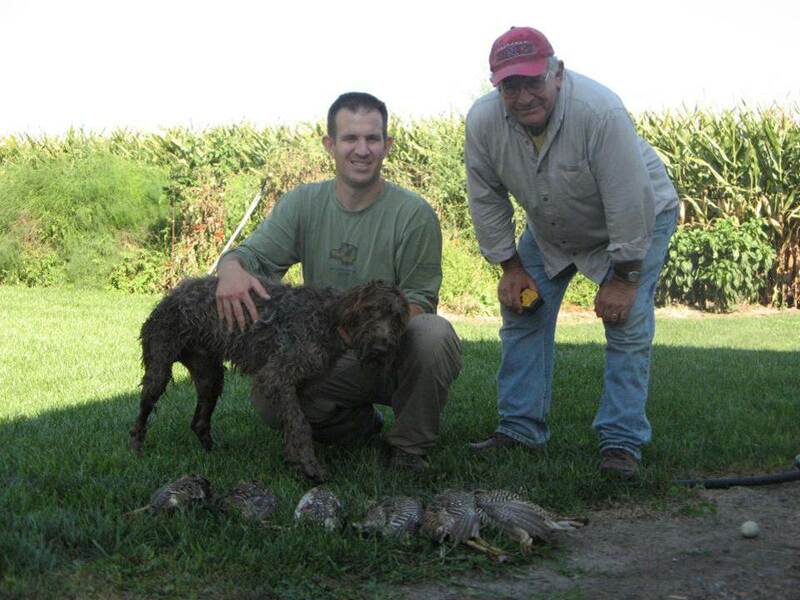 Charles and the dogs guided their third hunt on the preserve, with myself on hand as co-handler of the dogs, guide assistant and photographer. 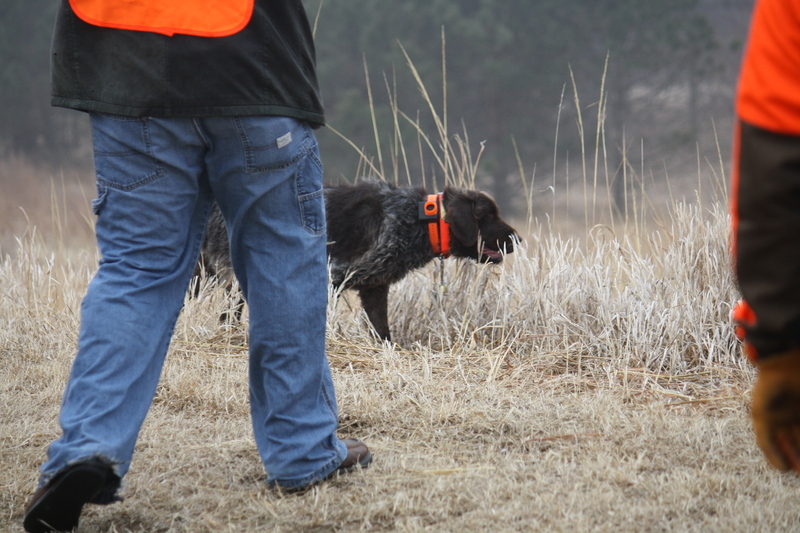 We began the day running both Sam and Sue, which led to some very fast shooting and more retrieves than we could keep up with at times. 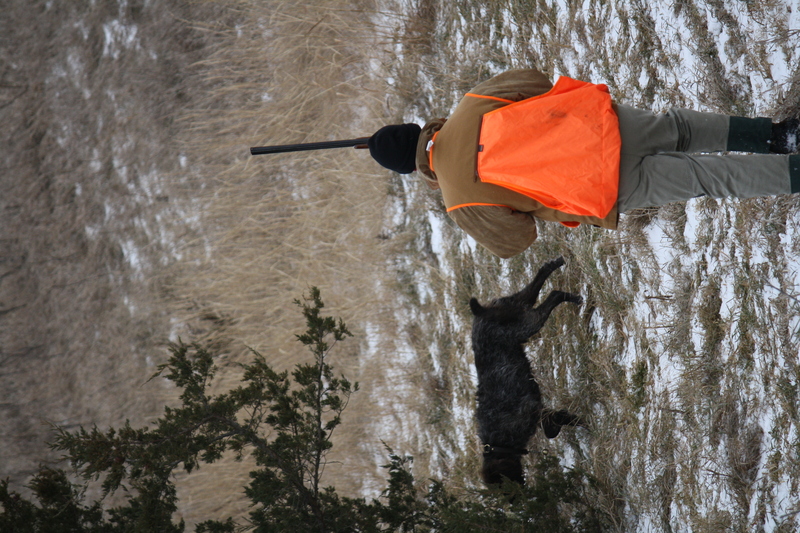 There were points where we had to stop to let the dogs catch up on picking up the shot pheasants on the ground. 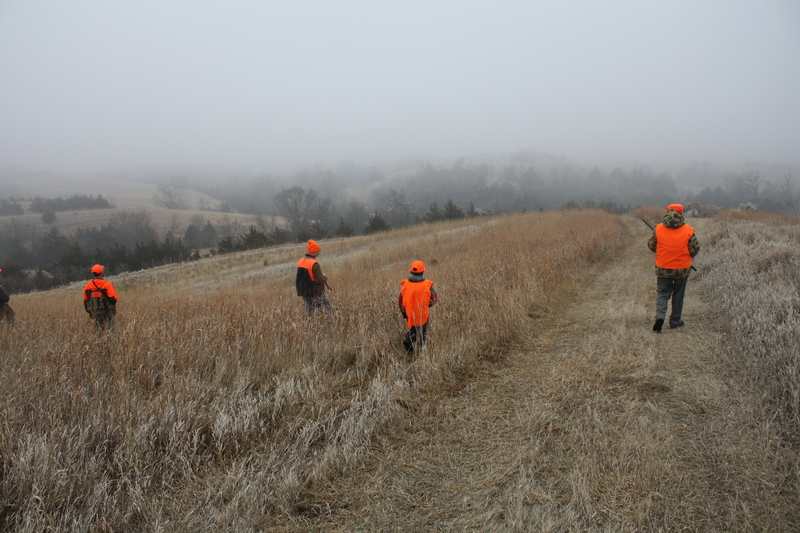 We stopped around 11 for a lunch of pheasant breast and mushroom stew, then went back out with Sam for a second sweep of the property. 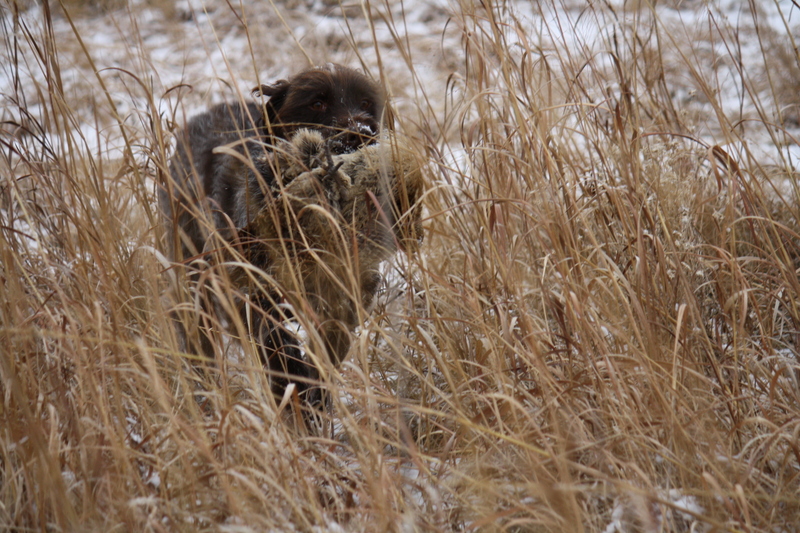 In 2011 litter news, Sam and Sue completed breeding at Christmas and she is showing obvious signs of pregnancy. 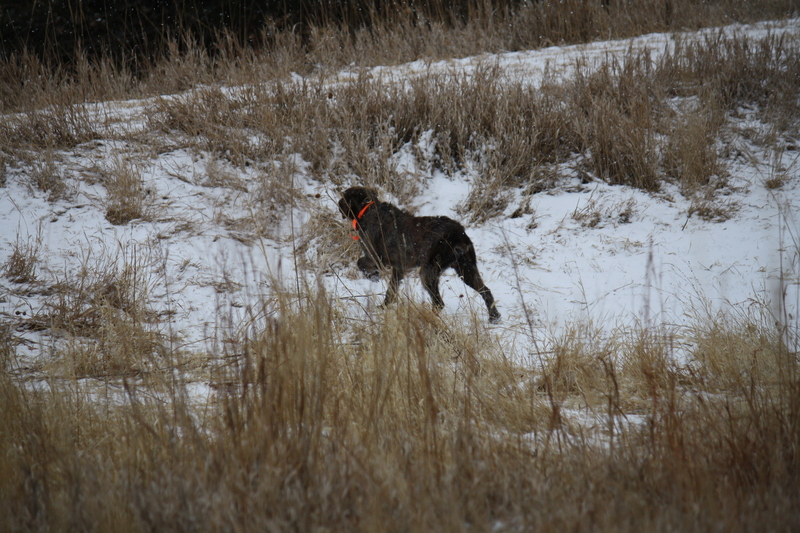 We anticipate whelping towards the end of February. The puppy application is ready and has been sent out to the 30+ individuals expressing interest, with more calling and e-mailing every day. 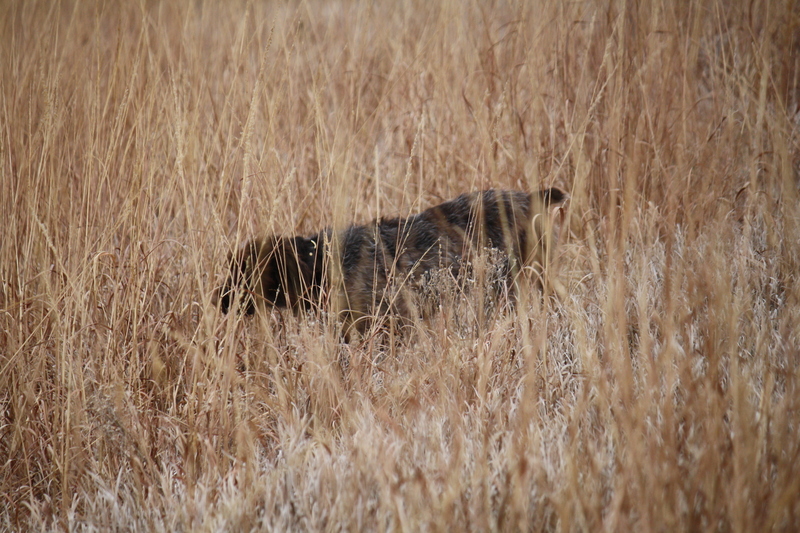 I am excited to raise these pups and get them into some excellent hunting homes! 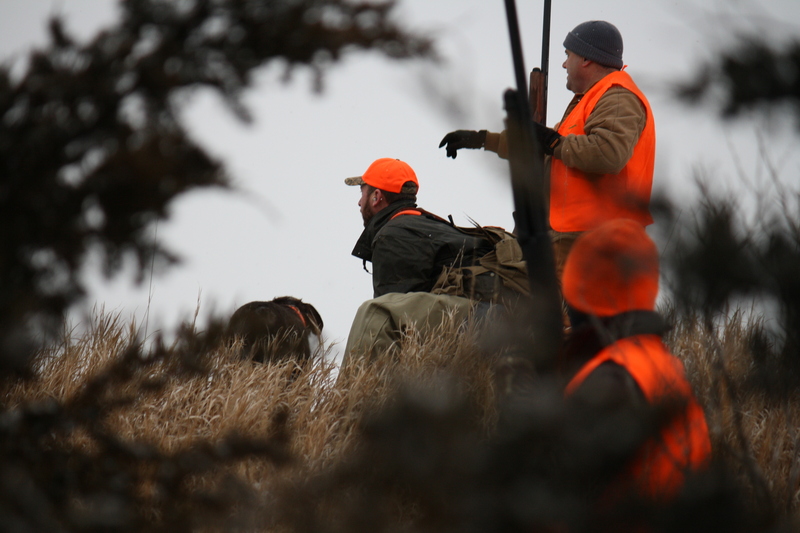 Yesterday was the perfect day for a hunt: not too cold or windy, with moist air; perfect scenting conditions for the dogs. 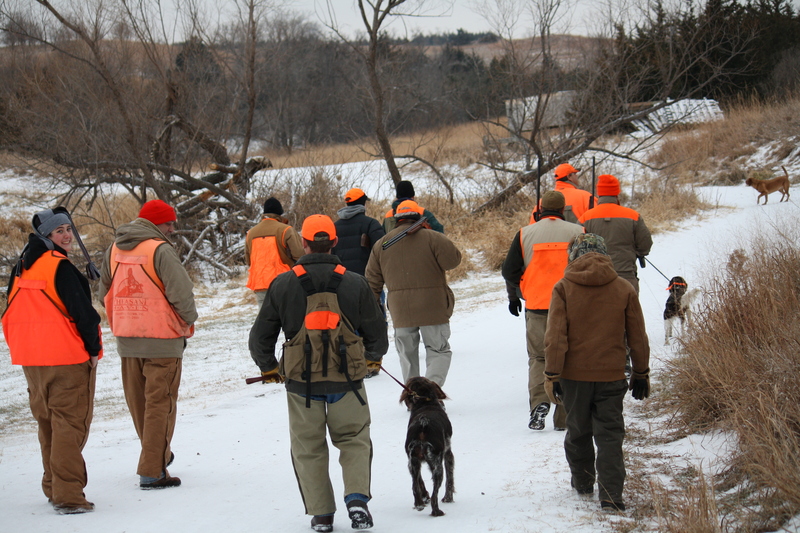 As some of the hunters had brought their dogs, Charles worked Sue with the large group of gentlemen in the morning. 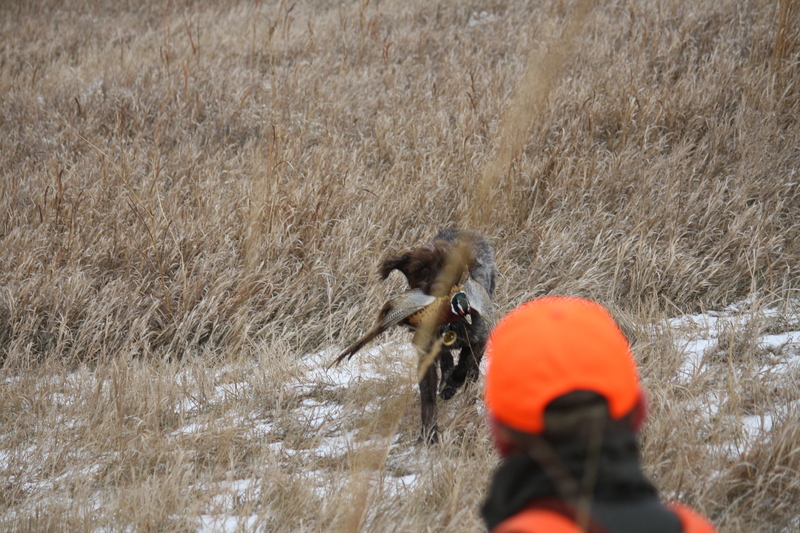 I wish I had gotten a better photograph on the next shot because it was some incredible dog work. 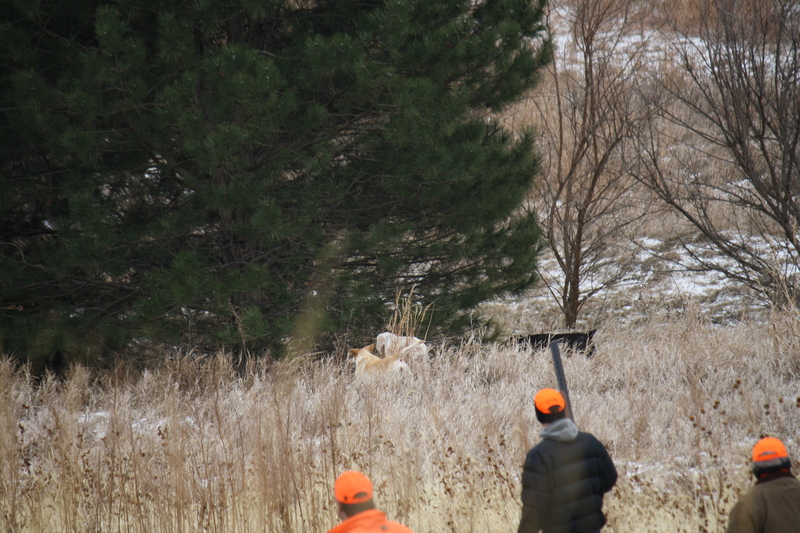 One of the hunter’s white Spinone Italiano is on point along with Sue, followed by the preserve’s yellow lab coming in for the flush. I now understand the value of the flushing dog in these situations. 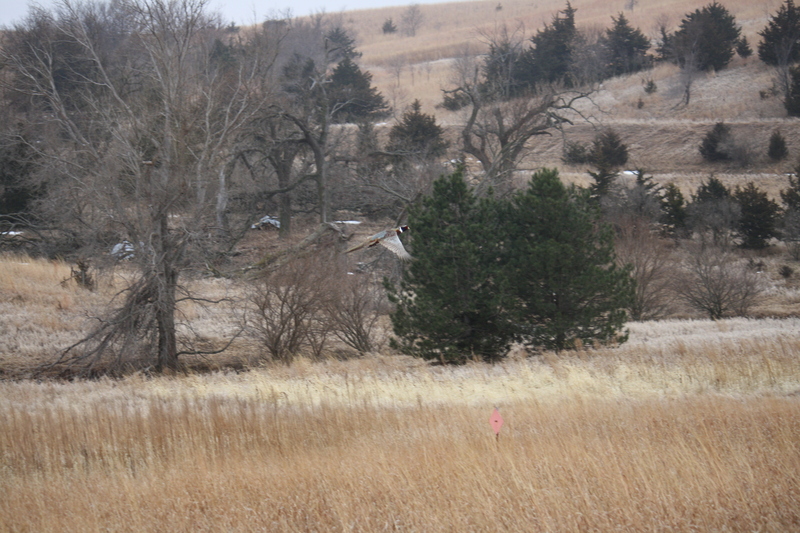 As foot hunters, Charles and I typically do our own flushing by walking up into the dog’s point. 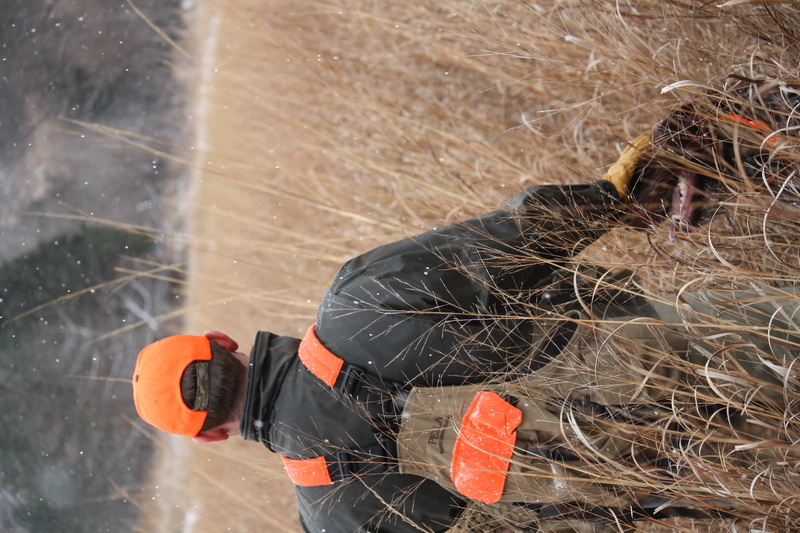 At the preserve, the hunters would rather not walk in to flush and it isn’t safe for the human guide to do the flushing, therefore the flushing dog is needed. 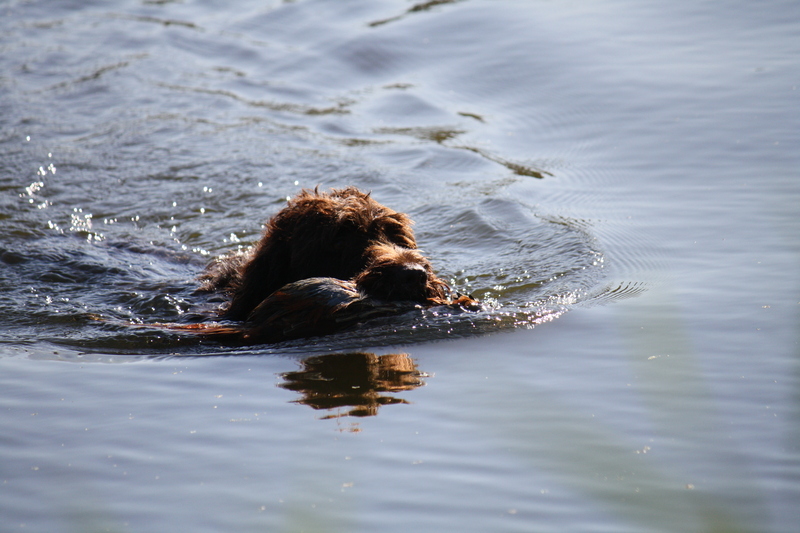 It looks like in the near future we’re going to be shopping for a female AKC Cocker Spaniel to take on that job! 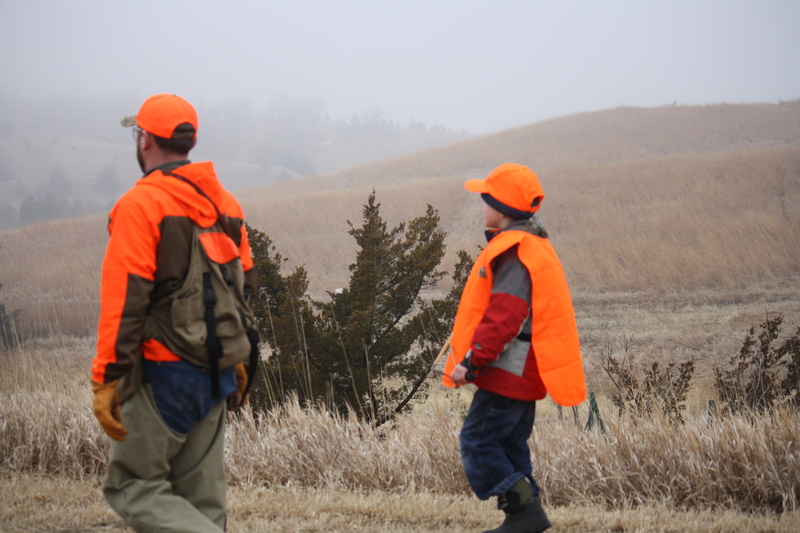 After a successful morning well-spent on the hunt, we took a break for cheeseburgers at the bar in Elk City, then returned to Pheasant Haven for an afternoon hunt with Sam and a grandfather/father/son trio. 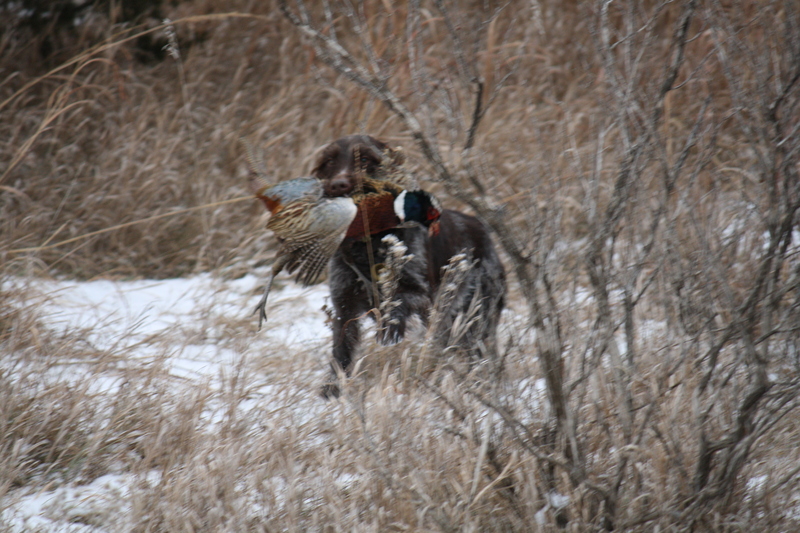 I was thrilled to finally take my first hunter/dog/bird photo yesterday. 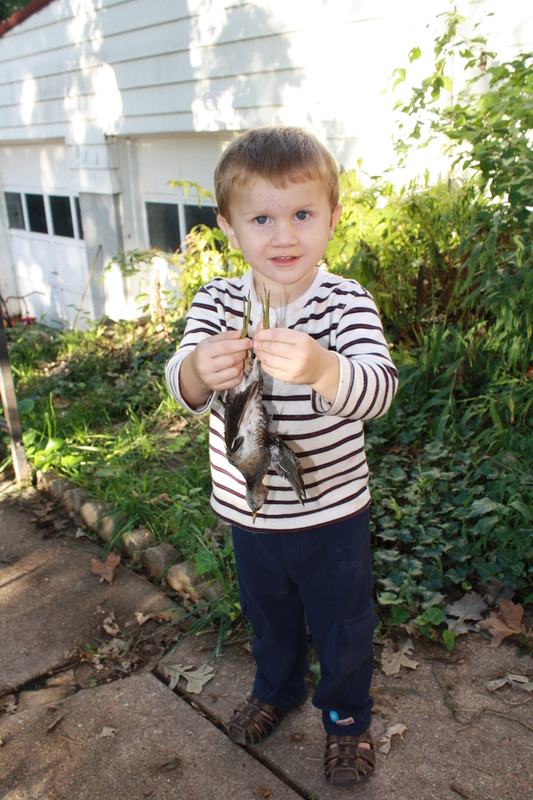 They are terribly difficult to set up and take. 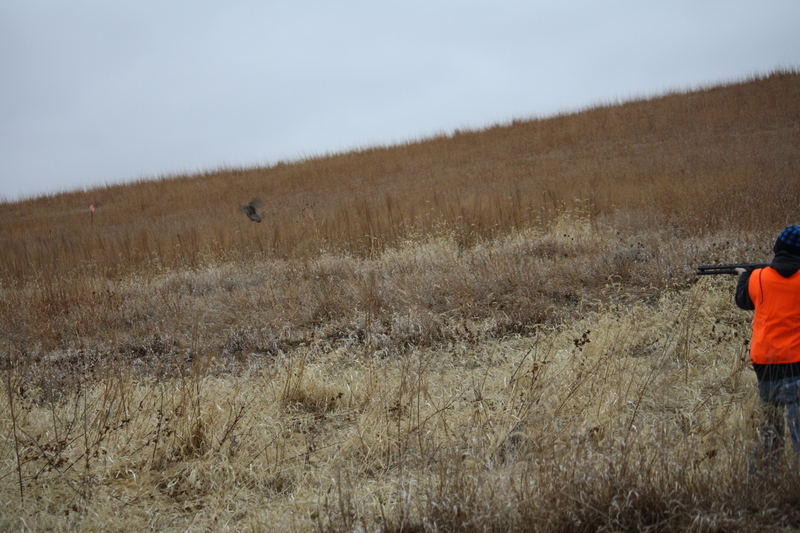 The pheasant is difficult to see, as it is flying away near the top of the frame and camouflaged by the grass. 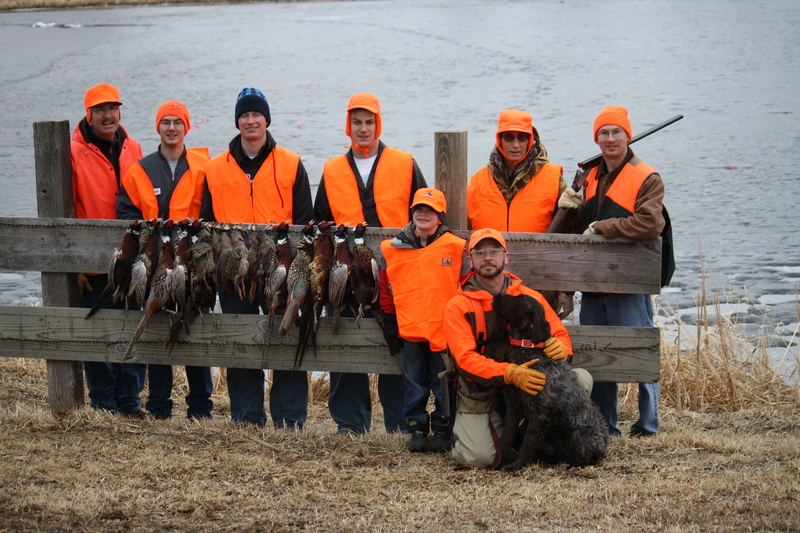 In hindsight, I should have organized the large group and their dogs to pose with the bird total, because Sam and Charles certainly can’t take all of the credit! 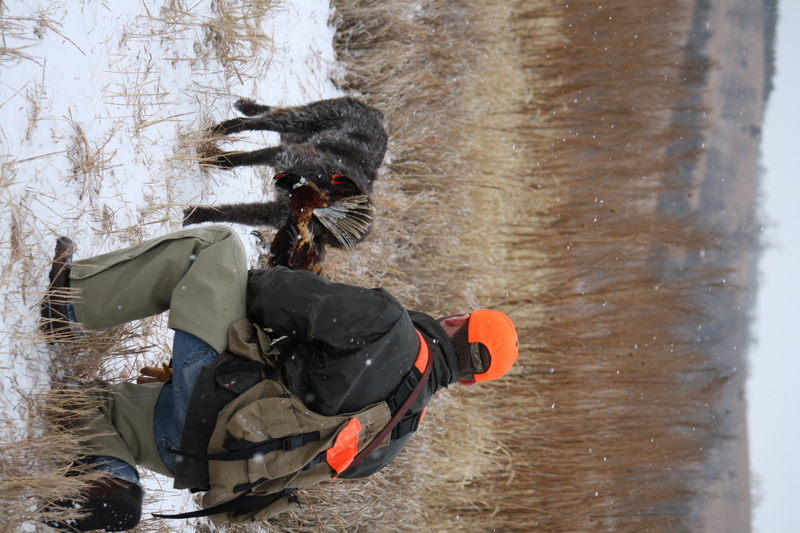 It is a learning process for both the dogs and the people to take on this guiding business, but it gives us great pride and joy to be able to share our passion for hunting with great dogs!! 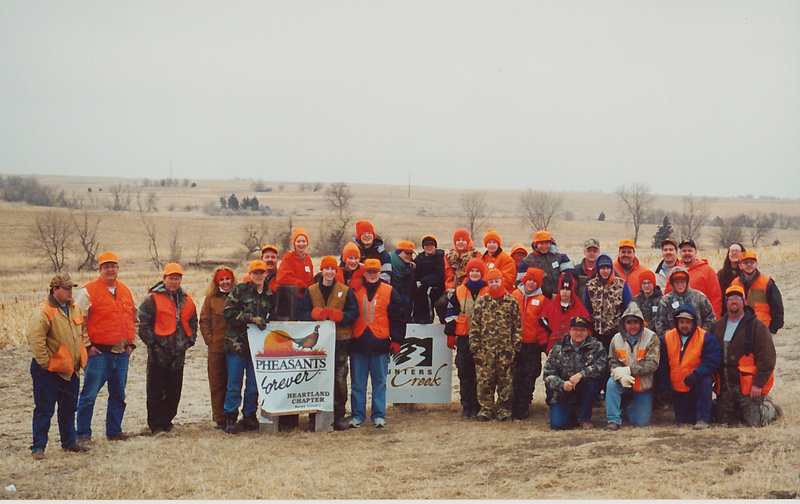 Charles, Sam and Sue were recruited at the end of November by Scott Bruhn of Pheasant Haven hunting preserve (http://www.pheasanthavenlodge.com/) in Elkhorn, Nebraska as guides. 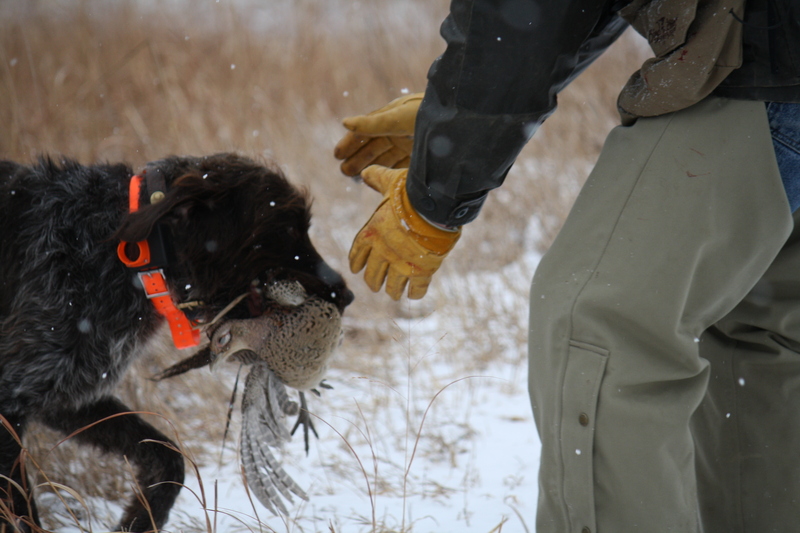 As the dogs were strictly wild bird hunters prior to this experience, I was a little nervous that they would “trap” the cage-raised birds (this is when the dog catches the bird in its mouth following the point). 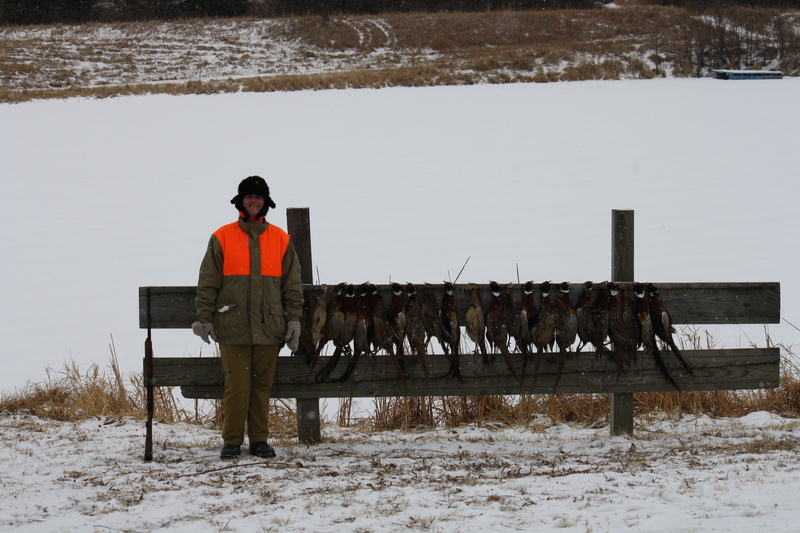 For this particular two day outing, chukkars were used. 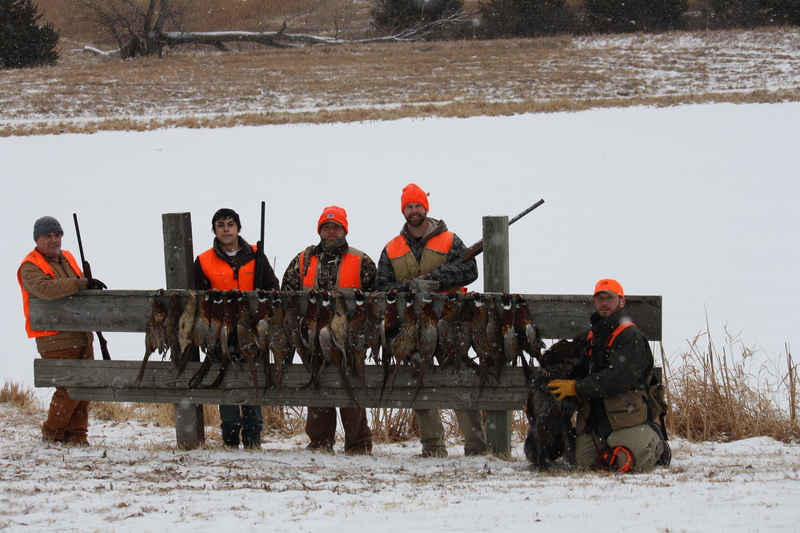 The birds were of a good quality and did not allow the dogs to get sloppy. 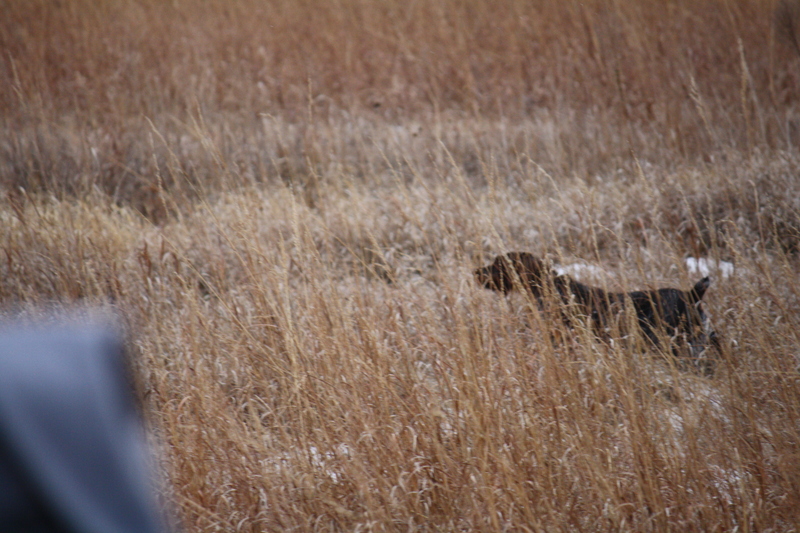 They also ran across a number of “scratch” (previously released) pheasant which made for some added fun and action. 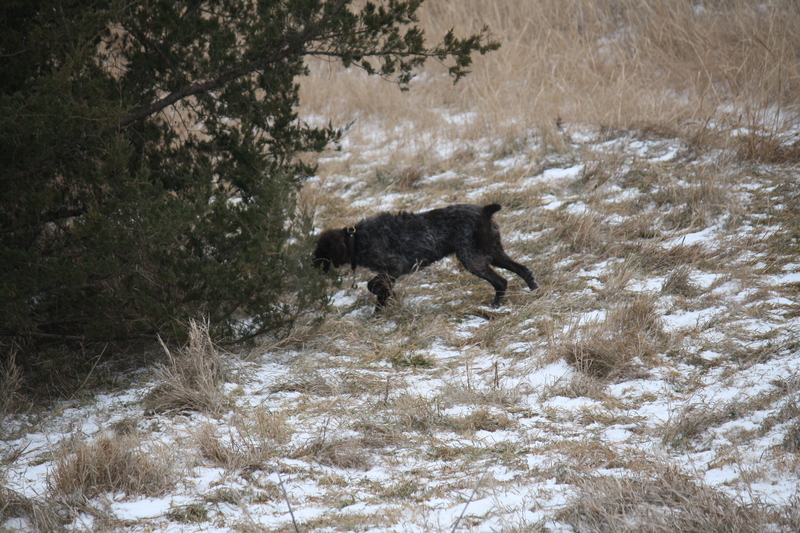 The dogs are used to locking up on unforgiving wild grouse and pheasant, which made for some stylish points on the slower-moving planted birds. 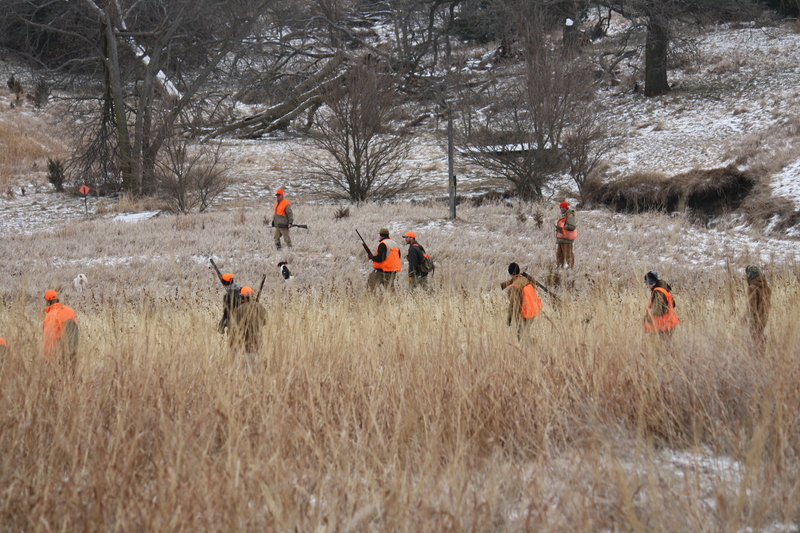 Sam and Sue were run separately to give the gunners plenty of time to walk up on the point and prepare for the shot. 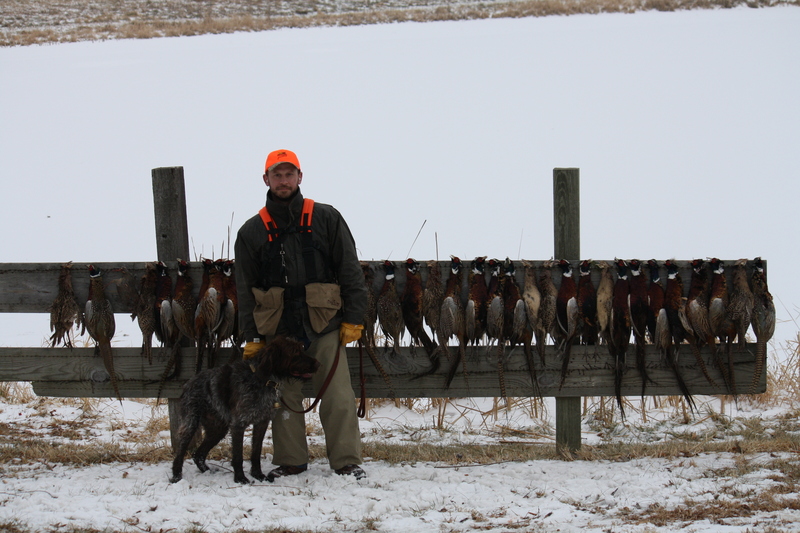 This event was a lot of fun for the dogs, as it isn’t everyday where a dog get to point 100+ birds. 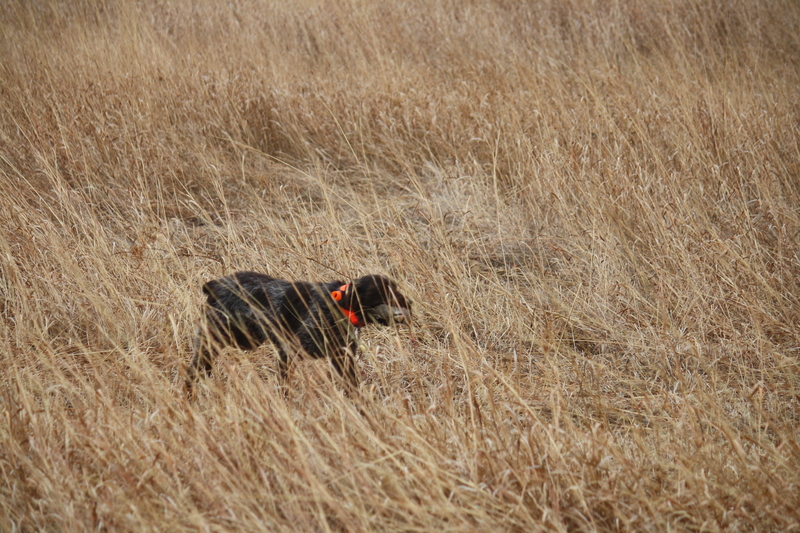 They also did a terrific job of retrieving for the two days they were on the job, November 30th and December 1st. 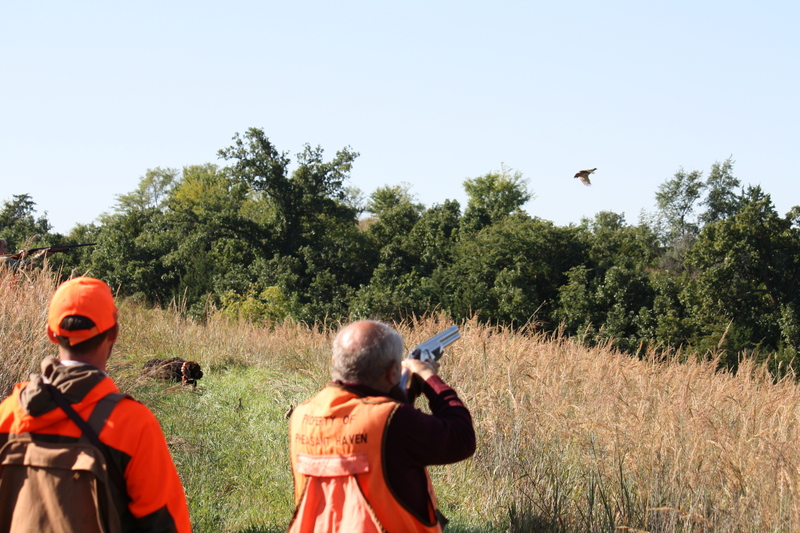 Scott runs a nice operation and is talented at releasing birds in way that simulates wild bird hunts. 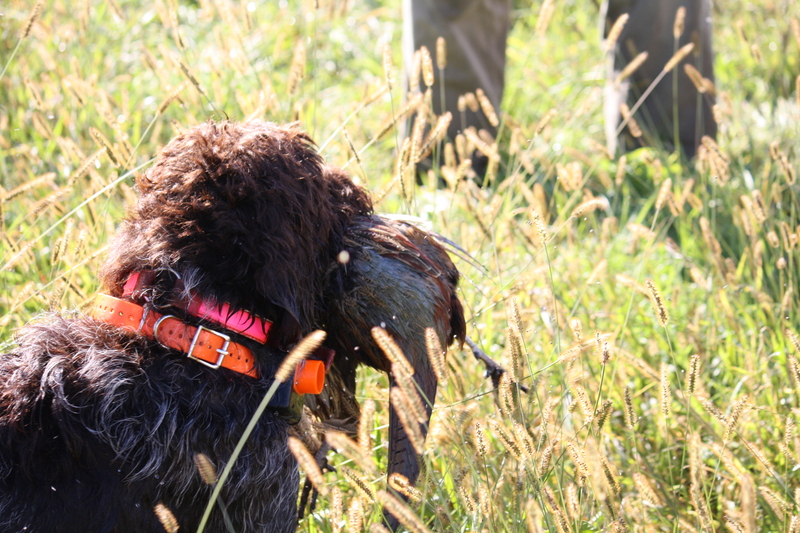 There was a second guide on the hunt running a Vizla, who is active in the National Shoot to Retrieve Association (http://www.nstra.org/), which is essentially a competitive field trial organization. 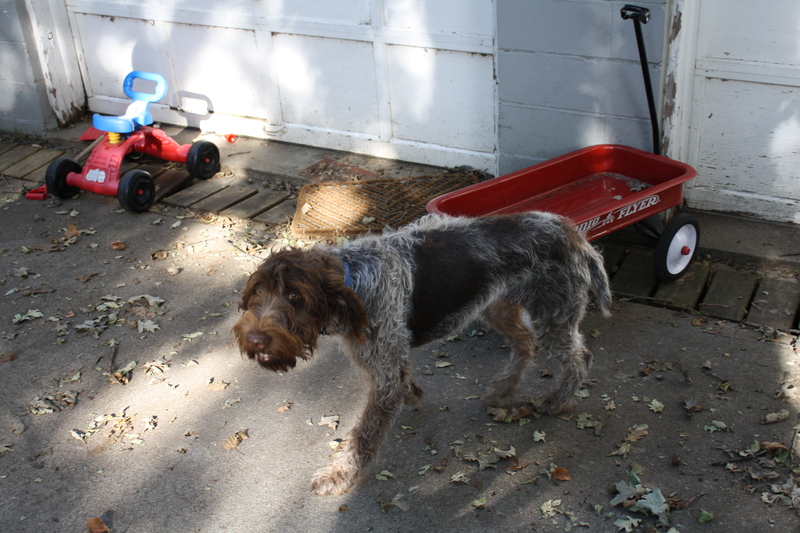 Doing a side-by-side comparison of Sam and the NSTRA Vizla, Charles feels that this may be another dog sport organization that we would like to investigate and potentially participate in. 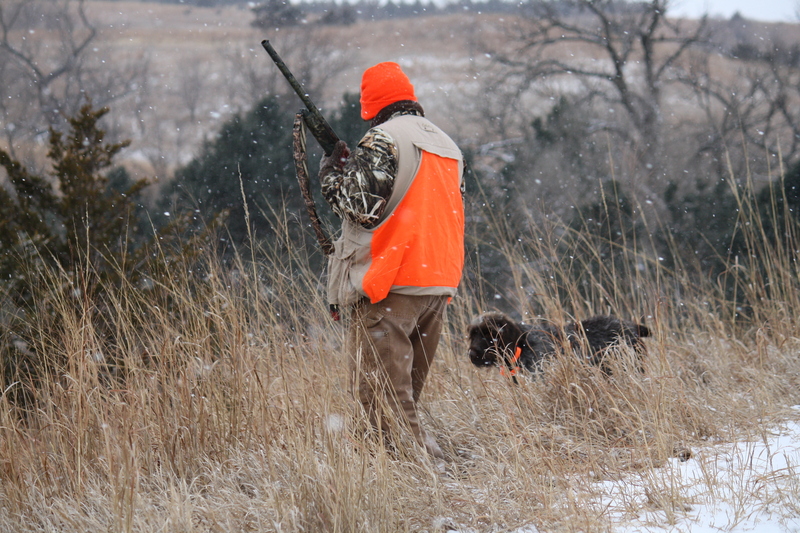 Charles and the dogs will be back guiding at Pheasant Haven tomorrow, with me joining them as blogger/photographer, so I’m looking forward to getting some good shots and stories to post next week.